Going on a safari is a true adventure. Many people are excited especially if it’s their first time. However, this adventure takes careful planning as it is not like your conventional holiday. Planning is not only about booking airline tickets and hotel rooms. It also means packing the right kind of clothing for your trip. 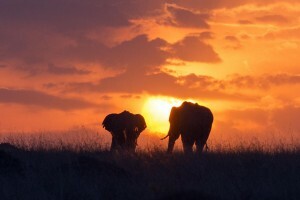 Safaris usually bring Africa in mind, but there are other places in the planet to go on safaris as well. Here are some tips in choosing the right kind of safari clothes for your adventure. A hat is a safari essential. This is protection from the overbearing heat of the sun especially towards noon and early afternoon. Safari locations also host a lot of insects so it’s probably best to opt for a hat with netting for extra protection. We’ve seen movies and we know vests are cool when going on a safari. But aside from the cool factor, vests have a practical use during this kind of trip. For the best vest, find one that has lots of pockets. This will come in handy for carrying your binoculars, snacks, insect repellent and other small items that you want to have handy. If you want a jacket instead of a vest, look for something that has pockets too. Jackets are great to have along as temperatures can vary greatly during a safari. Choose shorts and pants in natural fabric. It is usually hot in safari areas and having clothing made from natural fabric is cooler as sweat dries easily when fabric is natural. It’s also best to choose neutral colors like khaki for safari travel. This color is a good choice no matter where you go because khaki blends in jungle and desert locations. It also does not trap heat like dark colors. For your shirts, buy cotton or linen t-shirts and long sleeved shirts. T-shirts can be used under the vest or jacket and will keep you cool. Longsleeves can be worn at night when temperatures are cooler. Invest in good khaki colored pants, shorts and shirts which will cover all the different temperatures you could encounter during your holiday. Shoes are just as important as your wardrobe. Remember that you will be spending a lot of time walking or standing up during your safari. Choose something that is both comfortable and will protect your feet. Lightweight hiking shoes are good choices. You can weight lighter shoes or sandals in your hotel or en route to your destination. Safari clothing is important whether you are visiting a desert or jungle environment. Choosing natural fibers in neutral colors like khaki and white will help dispel the heat. Fabric like cotton and linen are lightweight and cooler on the skin. With proper clothing you will be comfortable during your safari. Don’t forget to bring the sunscreen and bug spray! Tag Safari : Authentic Safari Clothing. Comfortable & Durable Safari Wear!